Shock revelations about British army collusion with loyalist paramilitary death squads are set to rock the political institutions in Dublin and London. The fresh information is understood to focus on personal and highly incriminating files compiled by Brian Nelson. He was recruited by British Military Intelligence (BMI) to infiltrate the outlawed Ulster Defence Association at its network of headquarters in Belfast. A major story in the 'Sunday World' will link both the British military and the political establishment in London to UDA death squads headed up by now-deceased loyalist paramilitary godfathers, like 'brigadiers' John McMichael and Tommy 'Tucker' Lyttle, plus a battery of other UDA so-called brigadiers who are still alive. Nelson, who died from cancer in 2003, kept a concise and meticulous handwritten journal, running to 120 pages, of his role as a British army/UDA double agent during the darkest days of the so-called 'Dirty War' in Northern Ireland. Those files reveal how he twice set up TD Gerry Adams for murder, as well as the now Stormont deputy first minister Martin McGuinness, among some 50 others. And Nelson writes that one of his BMI-sanctioned undercover operations, a botched UDA plot to smuggle arms and rockets from South Africa, went "right to the top". Margaret Thatcher, who the Provos tried to murder in their Brighton hotel bombing in 1984, was Britain's prime minister at the time. Nelson also said that his spymaster British army 'Boss' told him to bomb the Republic. That was a full 13 years after the other main loyalist terror gang, the UVF, had bombed Dublin and Monaghan, killing 33 innocent people and leaving more than 200 injured. In 1974, Nelson was jailed for the torture of an innocent Catholic man, Gerald Higgins, who subsequently died. Released from jail after serving less than half of his seven-year sentence, Nelson tried to start a new life in West Germany. 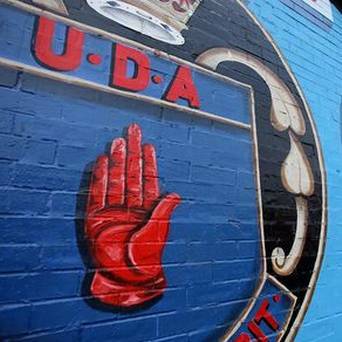 But he was approached by the BMI and placed back in Belfast as a paid 'supertout' to re-join the UDA. Using his previous British military background (he had served in the Black Watch regiment), Nelson flew up the ranks of the killer terror gang, which was responsible for over 300 murders during the nadir of the Troubles, many of them solely sectarian attacks on Catholics. Nelson became the UDA's chief 'IO', or intelligence officer. He received montages and lists of IRA suspects, giving their personal details, from his BMI handlers. And he personally scouted out targets for assassination - at the same time reporting back to, and colluding with, British intelligence service agents. This page was loaded Apr 22nd 2019, 10:31 pm GMT.